LONDON, NOVEMBER 2018: vScaler has incorporated NVIDIA’s new RAPIDS open source software into its cloud platform for on-premise, hybrid, and multi-cloud environments. 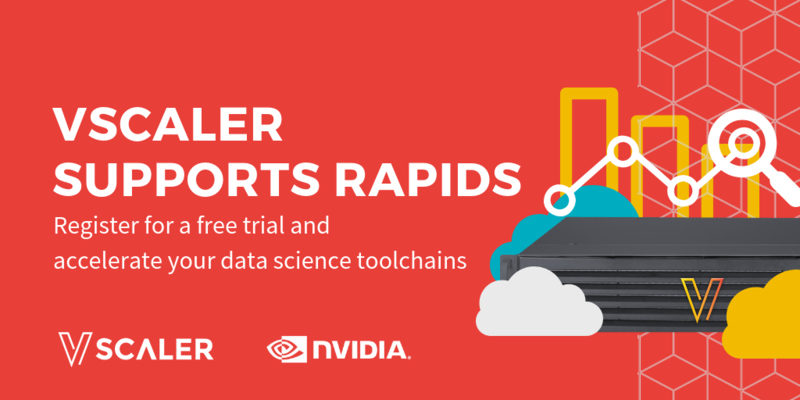 Deployable via its own Docker container in the vScaler Cloud management portal, the RAPIDS suite of software libraries gives users the freedom to execute end-to-end data science and analytics pipelines entirely on GPUs. "Moore's Law has ended at a time when demand for computing enhancement continues to grow. GPU-accelerated computing is now recognised as the path forward". “vScaler has joined a growing list of companies that recognise the importance of GPU technology in many fields including data analytics. By rolling out the RAPIDS software suite along with support for NGC containers, vScaler customers can easily deploy containerised applications and frameworks for HPC, data science and AI”.